Kelly+Partners have teamed up with Australia’s leading social media experts Bluewire Media to bring together a day that will normally costs $8,000 per participant company for just $350 per person – the day is practical, hands on – devising and documenting your social media strategy, establishing and/or refining your online properties for maximum impact and tips and tricks specifically useful in the real estate industry. 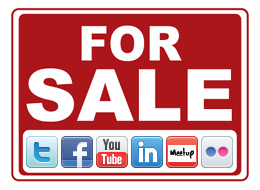 It is a great chance to get ahead of the crowd as few people are doing social media well in real estate. See more information and book here . Knowledge applied is power – this one day will be transformative for your business. Real Estate + Social Media – 21 August 2012 at Cliftons 190 George St, Sydney.